Laura Saldivar is a project manager in the project management and program support group at the Carnegie Foundation. Prior to joining Carnegie, Laura worked in marketing and communications for non-profits for over 10 years. She was responsible for directing teams to promote performances and events as well as managing brand and audience segmentation strategies. 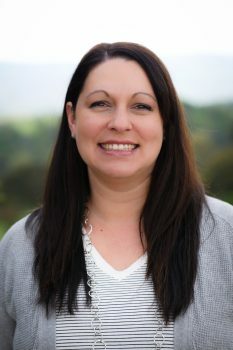 Her passion for data lead her to take on the role of application owner for Tessitura, a CMR application specific to non-profit organizations, as well as taking on leadership opportunities by chairing the annual conference planning committee for 4 years and presenting at national and regional convenings. Laura also served several years at genARTS Silicon Valley, a young professionals network, developing and promoting career development programs to support early career arts administrators. Earlier in her career, Laura developed a passion for teaching children and served as a dance and gymnastics instructor for various studios, community centers, and school programs for many years. Other past projects include supporting the launch of an experimental 3-day street festival, Market Street Prototyping Festival, in collaboration with the SF Planning Department where she used her background to promote the design submission process and the festival as well as data collection procedures and analysis. A San Francisco Bay Area native, Laura received a bachelors in psychology and a bachelors in dance from San Jose State University.